This is great. I already use V1 and I'm happy to see this update. Thank you. OGOGO! It's just wonderful! a dream of an idiot, my dream! Very nice idea, will try it out asap! Thanks! Always loved this mod - excellent and cool! Thanx. I was big fan of v1, glad to see new version. BTW, what clouds mod are u using Benitomuso? This mods is ok with zuti mods? no, I haven't stated that (I'm going to do that right now), but it is not compatible with Zuti MDS, that's the only incompatibility of the MOD. I made the original one compatible with the version 1.1 of Zuti, but since then, when he changed a couple of things on the way the maps are shown, etc., re-writing a lot of code each new MDS version is too boring. I talked with Zuti about doing some kind of arrangement on keeping basic things untouched, to avoid other MODs like this one to be Zuti version dependants, but still we haven't solved the situation. yes, Malone gave you the right explanations. The map zoom is performed with the mousewheel. As he said it covers more than the 95% of the users, but it's true that not all of them. The ESC key (with or without a mouse wheel) should close the minimap and send you back to the original view where you were. As I commented above, the only incompatibility is with Zuti MDS, are you using this MOD? Thanks Maty. I use the OLC FPS Boost V2 for my clouds. It works quite good. Wow. This is what I've been waiting for for years. Thank you so much for this mod. Now nightfighting feels really real. The frontal radar works beautifully. Just one question - what is the maximum range of the frontal radar? It seems to be about 3000m - is that right? 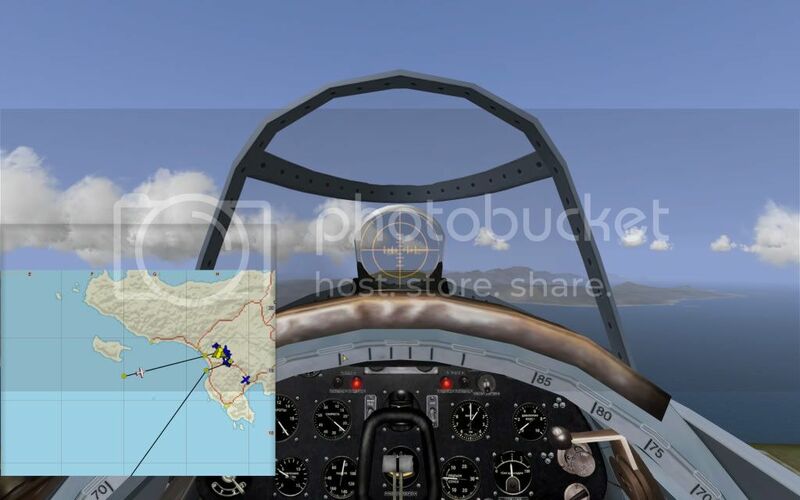 -The frontal radar uses an orthogonal projection over the plane of the cockpit. So it basically gives you the same range that the original minimap offered to you at that zoom scale. As you may have seen, here in all the maps I reduce the size of the icons (or phosphorus spots), according to distance, but with equations more empiric than strictly formal. When the icon extints due to the reduction of size, is something that was not confirmed by me. -The radial one is more complicated, because it doesn't use simple projections (as I was using in V1, this is one of the most important but less seen changes in V2). 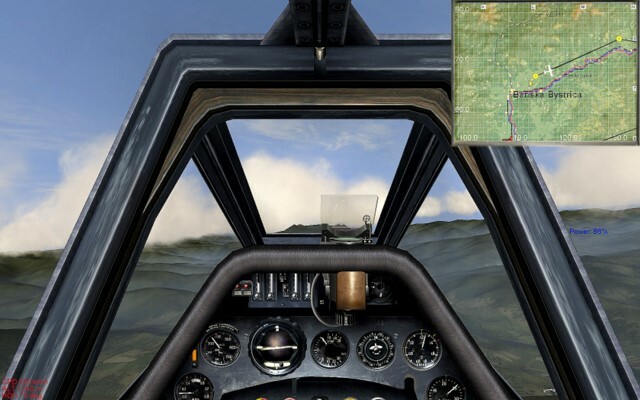 The echoes of the objects in a radar, are basically seen as the representation of distances (time of return for the signal), so an object only 10m ahead you and 10m to the right, if it is 10km over or lower, will be shown very apart of your own plane in the radar (because the real distance is high, you have to fly "a lot" to reach the other object). This is one of the reasons why the units I draw in the screen radar are just virtual, but I preserved the 6 (or 5, I don't remember exactly), zoom levels of the stock minimap. I hope this explanations helps. Great mod, a must in any case, but...would be too much work make a version compatible with the Ecran Wide Mod? I never used the Ecran Wide MOD so I don't know exactly how it works. If you re-position the map dragging it to the corresponding zone of the screen (i.e. upper right corner), doesn't stay there? It should. The only thing regarding position that is not standard is the "Navigation mode" that uses a frame proportional to the dimensions of the map, and it re-positions the minimap to be all seen on screen. Please tell me what happens if you drag the map to another place and never change to Navigation mode. Is the position remembered exiting and re-entering the game? Page created in 1.293 seconds with 25 queries.